The owners of a family ukulele business in Hawaiʻi will celebrate their deep musical roots at a cultural festival in Portugal. Joe Souza and his wife, Kristen, have been invited by the Portuguese government to perform in the island of Madeira's ukulele festival next month, Hawaii News Now reported this week. The owners of Kanilea Ukulele in Honolulu said they will also take part in a weeklong celebration recognizing Portugal's ties to Hawaiʻi. Joe Souza said he has been designing and building ukulele for 21 years using the techniques of his ancestors who first came to Hawaiʻi from Portugal 140 years ago. 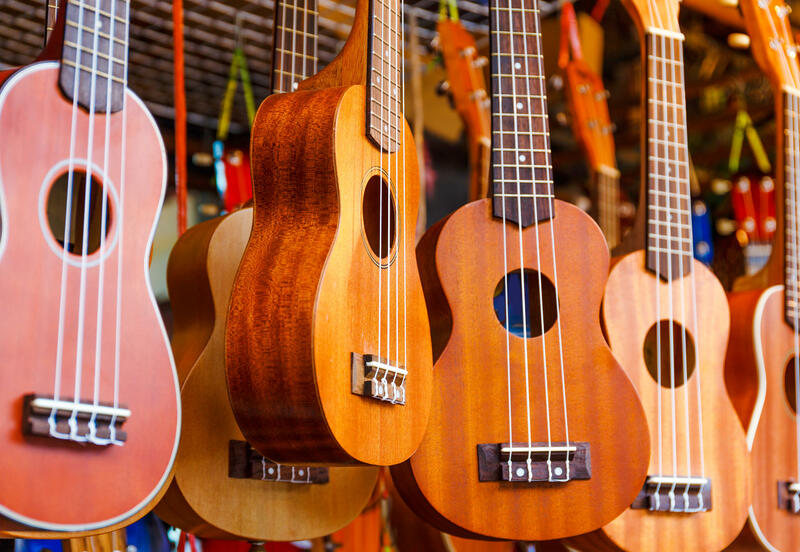 "What they brought with them was this mini guitar, or as my grandmother from Portugal called it, a machete de braga, which basically translates to a small guitar from Braga," said Joe Souza, who explained the "machete" provided inspiration for crafting the ukuleles they sell. The Kanilea brand has since become the first choice for musicians worldwide, he said. "That's what we're building — these one-of-a-kind playable masterpieces that will be appreciated for years to come," Joe Souza said. "They're focused on how the instruments from Portugal — the rahul and the machete braga — influenced the creation of the ukulele," Kristen Souza said of their Portuguese hosts. The Souzas said that while preparing for the trip, they have learned about their family tree and how their relatives made the journey to Hawaii. After Portugal, the couple is scheduled to perform at ukulele festivals in Brussels, Berlin and London.